Treat your skin with this 3-in-1 potent serum for smoother, clearer skin and an easy shave! 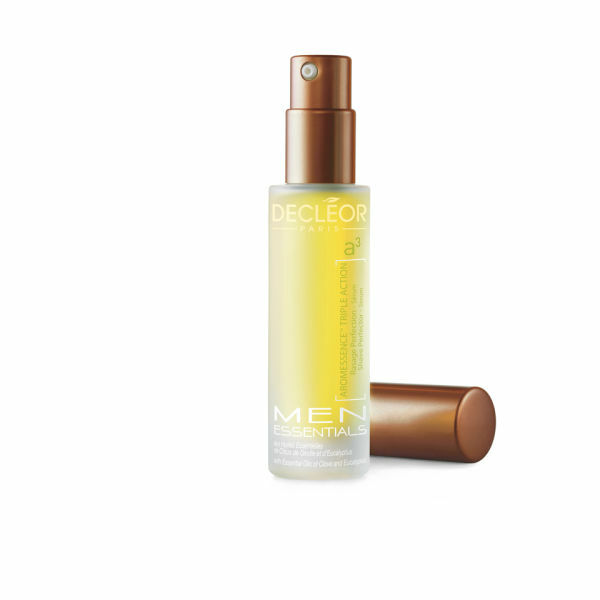 The cocktail of Essential Oils is specially tailored to answers the precise needs of mens skin. Thanks to Clove Essential Oil, it helps to limit hair re-growth and fights damage caused by shaving. Use before shaving to help lift ingrown hairs and improve razor glide. After shaving, it helps soften the skin, soothe razor burn and enhance the effectiveness of post-shaving products. Essential Oils of Clove and Eucalyptus, Oils of Jojoba, Sweet Almond and Rosa Rubiginosa. I can genuinely say that Aromessence Triple Action Shave Perfector 15ml is an outstanding shaving oil. I have an extremely sensitive neck, and prior to using this everything I tried did nothing to reduce rashes and bumps. I was awake at night with irritation. You need to apply one squirt before and after shaving, which means the bottle gets used up quite quickly, but the results are instant. It gives a closer shave, no cuts, rash reduction and no bumps. I now look forward to shaving in the morning!